1988. Chicago. Seventh grade. Braces. Headgear at night. 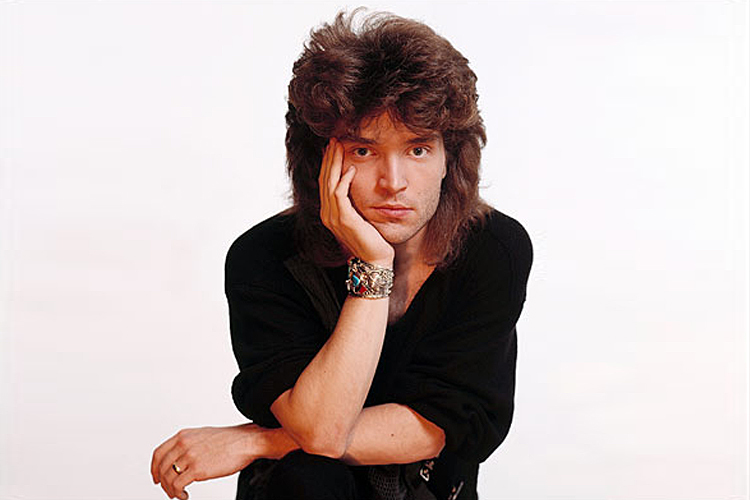 My musical epiphanies were Richard Marx and the Bangles. The only things that mattered to me were keeping up my grades, playing softball and practicing my Torah portions for my Bat Mitzvah. This year, we got a new math teacher. His name was Mr. Black. He was pretty dreamy for a math teacher- dark hair, blue eyes and dimples on top of an athletic physique. 26 years old, an ex-marine full of great comebacks to our failed math attempts like, “close doesn’t count except in horseshoes and hand grenades”. We never had a teacher like Mr. Black before. All our other teachers were older and unrelatable and their teaching methods were slow death by repetition and boredom. Mr. Black was anything but. He had an edge and a point of view on the seemingly smallest details in math. For instance, he forbade us from using the word “and” when discussing numbers. 100 and 1 was now 101. Dots were now points. He made us speak about math like smart people. He treated us like adults. He also teased us- not so much to give us a complex. After all, my class- my whole grade was just 13 girls. It was a small private school and somehow all the boys decided to leave after 5th grade. He teased one girl about the height of her bangs calling her “ski slope”. I was actually envious- my bangs wouldn’t do that flippy thing that was in style. What I did do was wear a lot of make-up. Which is odd because I don’t actually wear make up now. He called me “Maybelline”. We wondered about him and his private life. We took note of the car he drove and the clothes he wore. He was the mysterious stranger that came to town. And I think it’s safe to say that we all had a bit of a crush on Mr. Black, even though no one would admit it. One of my older sisters was in her third year at Depaul. I visited her at her dorm in Lincoln Park. I was excited to one day live in a dorm just like her and have all my friends down the hall. It was pretty crazy that the dorm was girls and boys on the same floor. This was all before things like the Real World was on tv so the concept of opposite sexes living together was very new to me. Upon meeting her friends, I immediately developed a crush on a boy named Andy. This wasn’t the first time- I frequently fell in love with my older sister’s friends and dates. These were the only boys I knew. I wondered if maybe she would date Andy. She should. I would have. Or at least called him my boyfriend and talked on the phone, which is what I thought dating was. But my Depaul sister wasn’t dating anyone. Until she met some guy at a Depaul Blue Demons basketball game. She told me about him and how crazy it was that they met. He was a Depaul alum. And they got on the topic of where he lived…Lakeview. And what he did for a living…teaching. His name was Ben. Ben Black. My sister started dating my math teacher. I wasn’t sure what I thought of it. It seemed like it could have perks- I would be an insider on the life and times of Mr. Black. I could go into the teacher’s lounge and not get in trouble. Maybe I could have bragging rights. But that’s not what happened. When news got out, I was ridiculed. Students from my grade. Students from other grades. Then teachers. Everything from teasing me that I would now get better grades to raunchy comments about my sister, comments I barely understood. I could only tell from the tone that these remarks were mean spirited. I was surrounded by bullies. School used to be a place where I was my best. Now it was my biggest challenge. How do you fight back? How do you take on your peers? Or authority figures? There’s no HR in middle school. All bets were off. My greatest accomplishment was making the cheerleading squad. I had practiced everyday- cart wheels, round offs, every cheer I knew. And splits, even though I could only do them leaning to one side or by propping myself up on both hands. But even this became heartbreak when rumors started. As the head basketball coach, Mr. Black was one of the cheerleading judges. And everyone said I only made the cut because the voting was skewed. They assumed I couldn’t have made it on my own. It wasn’t just bad at school. At home, at family gatherings, I didn’t know how to address my math teacher. Everyone called him Ben, his secret identity. Ben was his Clark Kent. So I just called him “Black”. It would be better this way- so that I wouldn’t slip and call him Ben at school. And it was as informal as I could get with the man who was ruining my 7th grade life. One weekend I stayed at my sister’s dorm. She was particularly sad. She and Ben had broken up. I could hardly contain my excitement. But quickly realized it was not welcome and disguised my smile as concern. I think he wanted more of a commitment than she could give. She was after all only 20. I was sad for her but secretly grateful not to have any other single good looking teachers. My sister ended up finding love just fine on her own, love that was way out of the universe of my life. As for Black, he started dating the science teacher- a scandal that wiped my sister and me right off the map.